Analysis: Venezuelans still within the nation are under deadly risk today by the criminality of Nicolas Maduro’s government and failed socialism that has driven inflation now projected at 10 million percent this year. 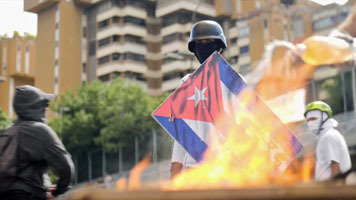 Reuters is reporting from the United Nations and Caracas that the United States on Saturday called on the world to “pick a side” on Venezuela and urged countries to financially disconnect from Nicolas Maduro’s government, while European powers signaled they were set to follow Washington in recognizing Venezuelan opposition leader Juan Guaido as the country’s rightful leader. In heated back-and-forth exchanges at a United Nations Security Council meeting, the opposing camp led by Maduro’s cronies and Russia, which has invested heavily in Venezuela’s oil industry, accused America of attempting a coup, and lambasted Europeans’ demand that elections be called within eight days. Guaido, who took the helm of the National Assembly on Jan. 5, proclaimed himself interim president on Wednesday. The United States, Canada and a string of Latin American countries recognized the young leader in quick succession. 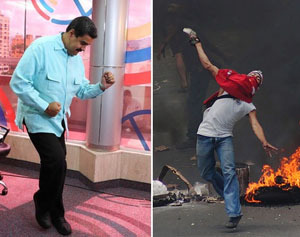 Maduro, who has led the oil-rich nation since 2013 and has the support of the armed forces, has refused to stand down. Click here for more from Reuters. 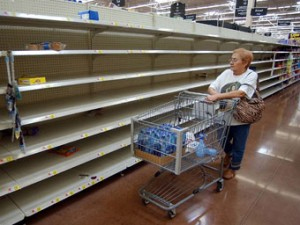 As Tulsa Today has repeatedly reported, Venezuela holds great natural wealth, but socialist promises never come true. Economic realities proven throughout human history, however, show up to teach that prosperity requires civilization which flourishes with Rule of Law, Free Enterprise and limited government. The more power government holds, the less successful a nation regardless of the hubris of academics who passionately believe they can build utopic if they held all power over all things (anointed gods). 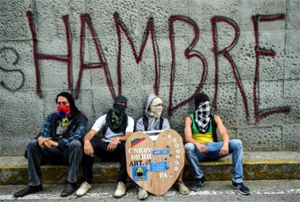 The heart of America aches for the people of Venezuela in this crisis exacerbated by other criminal regimes; Cuba, Russia and China – who control citizens to enrich themselves and their select networks of cronies. Think what it would mean to your family if your bills rose 10 million percent in one year without a raise of salary. If you can’t afford life because government doesn’t work as promised, you would riot and root through trash to feed your children and survive. This is happening today in Venezuela – formerly the wealthiest nation in South America. This is the lesson the United States Democrat Party must learn if they ever hope to regain national viability beyond slums stupid enough to vote for promises of “free stuff” and hateful identity politics.